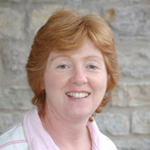 Diana Allen is a well-known and respected farm consultant with over 30 years’ experience in the UK dairy sector. She has also consulted to farming organisations in Europe, USA and Canada. In 2005 she was awarded a Nuffield Scholarship to ‘Improving cow comfort, nutrition and health to increase profit’ which involved extensive travel to Canada, USA and Scandinavia.